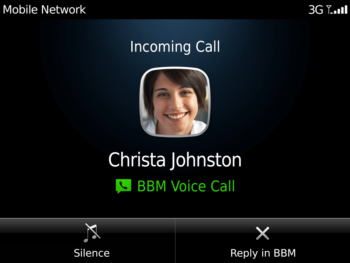 BlackBerry has released the famous Messenger for other mobile platforms: iOS and Android. The downloads reached up to 10 million in less than 24 hours, according to the Canadian cell phone maker. The executive vice president of BBM at BlackBerry,Andrew Bocking, wrote a blog post on Tuesday:”I’ve seen reports of apps that launched with one million downloads in a day, but over 10 million? Amazing”. As we have mentioned previously, the initial launching day for iOS and Android platforms was scheduled for September 21st, but was under a delay due to the fake version of the app that overhelmed the Blackberry’s network. According to the company more than 6 million people signed up for news release of BBM on the official website. The iOS version is fully compatible with the latest devices (iPhone 5s, iPad Air) and is optimized for iOS 7, as for the android version of the app – it has a specific chat widget, somewhat like Android Facebook messenger, as a result you can chat without opening up the application itself. Additionally, the BBM states that it will launch brand new features soon, so users should stay tuned. They are about to launch Video, voice chats both for iOS and Android chat clients. Finally, it is difficult to say whether or not newly released BBM will manage to save the company from being bankrupt, due to the fact that it failed to get significant place on the mobile market with BB10 cell phones, and looking towards selling this branch. BBM is available for free in Google Play and App Store.